One of the best things about gardening is that you don’t really need a garden! 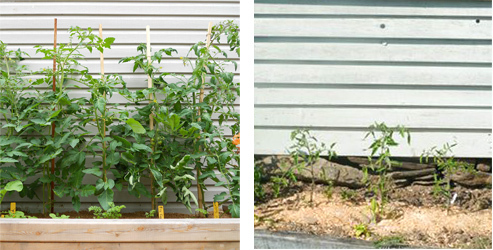 You can adjust to virtually any amount of space using containers for your plants. Plants can thrive in containers of many shapes and sizes and make anything look pretty. Containers can be tires, food buckets, pots, old sinks, baskets, kettles, shoes, bags, cans and more. You can really be as creative as you like! When container gardening, be sure to provide your plants with adequate sunlight and water, healthy soil, proper drainage, and love! Keep in mind that containers tend to dry out much quicker than garden beds, so keep an eye on your pots/tires/buckets to make sure they have enough to drink. 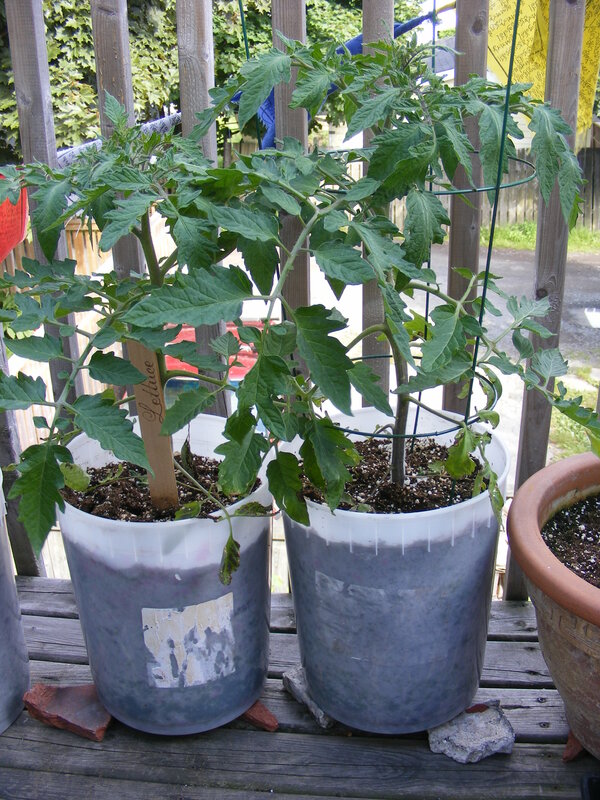 You can also check out this post on how to construct a self-watering container. We built one for the first time this week, it went really well for some first timers! These containers are really handy for those of us who might me over- or under-attentive to potted plants, they do all the watering themselves! Pretty cool. I finally moved, this spring, into an apartment with lovely south-facing balcony, and a shared backyard. This has allowed me to expand my horizons from indoor herb and house plant gardening, to extensive container gardening! I was extremely lucky to score several beautiful terracotta pots from a good friend and avid gardener. I also scavenged several 4 gallon ice cream buckets from a local ice cream shop to plant in. The ice cream buckets were a little gross when I first got them, but nothing baking soda, vinegar and a little elbow grease couldn’t take care of. After I cleaned them, I used a hammer and nail put some holes in the bottom for some drainage (next time I might add a little gravel at the bottom), I also placed little pieces of brick to lift them off the deck to ensure water can escape. And voila! There you have a free and sturdy container to put your plants in! In mine, I have tomatoes and kale! They are flourishing and my tomatoes are about to bloom. In the terracotta pots I have leeks, herbs, peppers, cherry tomatoes and greens. I have noticed that these pots tend to dry out much quicker than the ice cream buckets, and I find myself watering them more often. The plastic of the ice cream buckets seems to hold water a little bit better. 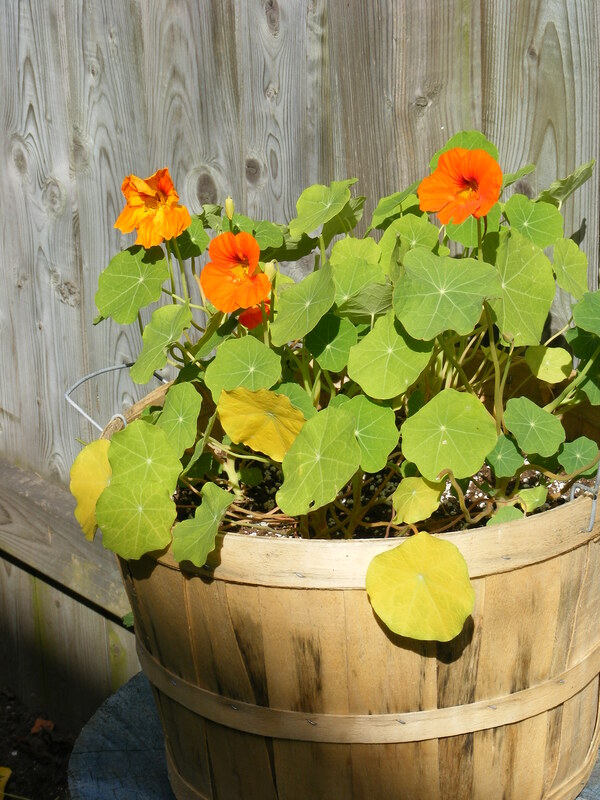 I also have some nasturtiums in baskets that a farmer friend gave me, they have a special place in my back yard because they’re just so darn pretty. 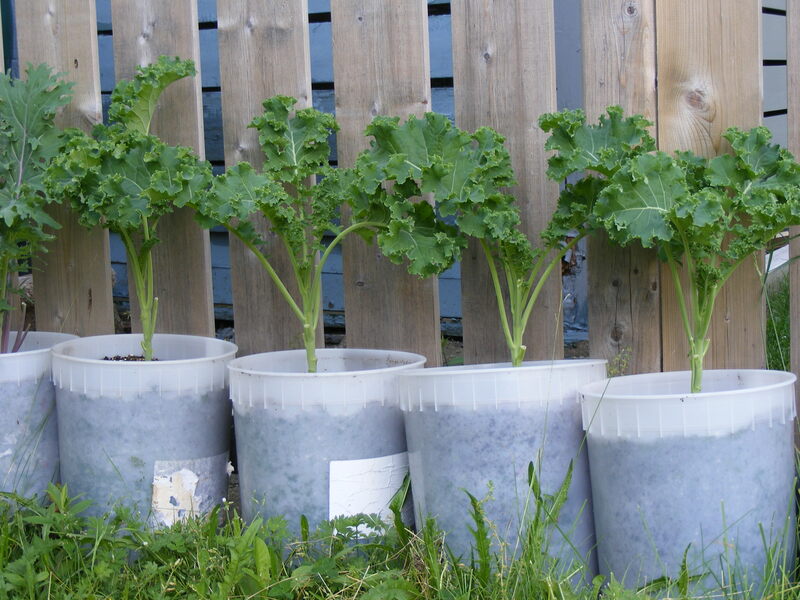 Thus far, this has been a wonderful and easy experiment; everything seems to be growing extremely well. 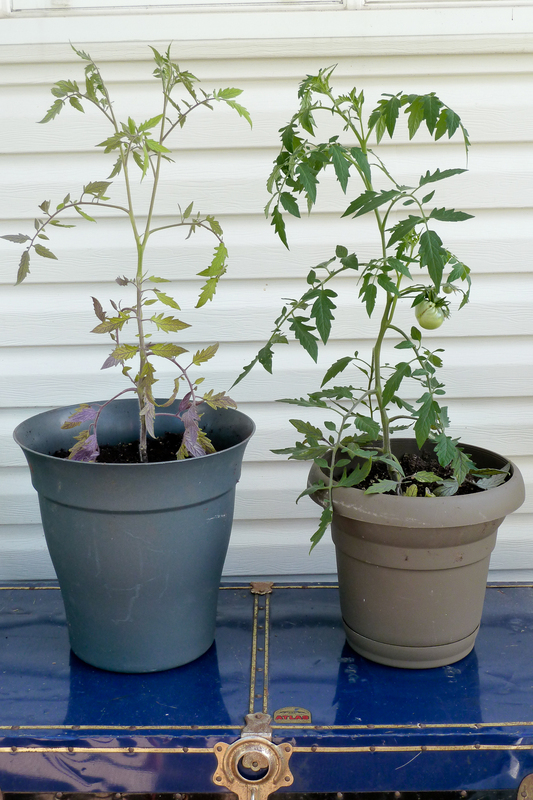 My biggest expense was soil and compost; I burned through almost 2 bales of potting soil, as many of my containers are pretty large. Hopefully next year will be a little better on the pocketbook, as I intend to employ some tricks to extend the lifespan of the soil (stay tuned for the next post! ).